Thinking of starting a blog? All you really need is a computer, a good WordPress theme and an iPhone camera. I wrote this post to encourage would-be bloggers to get started now — even if you can’t invest in expensive equipment or training immediately, you certainly can build it’s foundation and start growing a blog with a minimal investment! There is so much advice on the internet which makes blogging sound so incredibly complicated — but in this post, I break it down for you. Blogging is a great side-hustle that can grow into a lucrative, full time career. Problogger: Examines marketing techniques and blogging trends. Learn the proper way to set up an easy-to-navigate blog for your readers. Know how to set up categories and tags. All the must-haves to make your blog easy to read and navigate. “Building a Framework” by Abby Lawson: One of the best training resources on the market is Abby Lawson’s book, “Building a Framework for Bloggers, Building a Blog that Thrives”. She teaches you everything, from A to Z about how she built a successful blog. Her eBook and videos are instantly delivered upon purchase, they’re self-paced and there for when you’re ready to walk through each step. I still refer to my training videos from Abby quite often. (Buy “Building a Framework” blogging courses here). “Elite Blog Academy 3.0” by Ruth Sokup: I am a big fan of EBA 3.0. It offers a step by step guide on monetizing your blog. 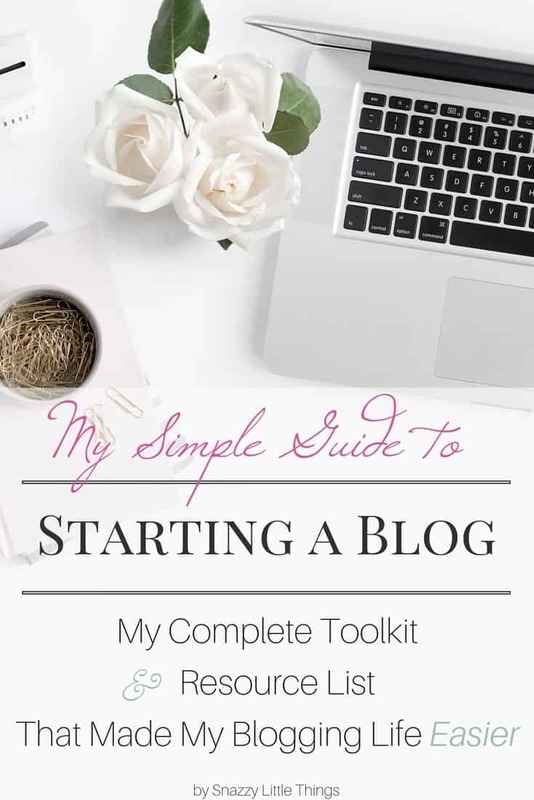 Also includes worksheets and videos for those of you that want to really understand the mechanics of your blog, setting up categories, subcategories, identifying your target reader and more. There is a wait list, but you can learn more about EBA 3.0 here. Choose Your Blog Name: “Domain” is another name for your blog name. You should choose yourblogname.com (or, your domain) and purchase it! I recommend Register.com to search for available domains, and I renew my blog name automatically every year. Failure to renew opens you up to the risk of losing your entire blog name should someone purchase your domain out from under you. There are a number of places you can register and purchase your domain, but we choose Register.com for this purpose. NOTE: As a personal rule of thumb, I do not register my domain name and host with the same company. I purchase my domain with one company, then I host with another. I don’t put my eggs in one basket with one company should one go out of business. Hosting + Website Security: Hosting refers to the server where your content resides and the web traffic flows through that server. Given my background in network security, I believe your hosts should be very security focused. I choose TransNoc Hosting based in San Diego, California. In addition to basic hosting, TransNoc will improve your site’s security and provide proactive, ongoing monitoring. Since moving to TransNoc, I’ve not had a single outage like I did when I was with another host. TransNoc owns their own private servers and they are WordPress experts who proactively provide me with detailed troubleshooting should any issues arise on my website performance. Choose a theme that grows with you: Themes provide the technical coding language that stylizes your blog — it ingests all of the ugly “code” and turns it into a beautiful website. Every theme possesses its own unique characteristics. So be sure to determine what kind of features you’d like today as well as in the future as you shop around for a theme. I have a few favorite theme developers and love themes that are compatible with the Genesis framework including those created by Restored316 Designs, StudioPress (I especially love Foodie Pro) and Pretty Darn Cute Designs (affiliate links are included). Mailchimp: Set up an email newsletter on day 1 of your blog launch. This allows you to invite readers to become subscribers. These are the people who want to hear from you! The list is is YOUR intellectual property and provides you a communication platform between you and your biggest fans. I use Mailchimp to notify subscribers each time I post via email. They can subscribe for daily or weekly updates. I love that I can customize it to match my branding + integrate with my online store. Mailchimp is free up to 2000 subscribers! Create brand recognition across all social media platforms: Simply put, you will need a clean, consistent and visual device that represents YOU across all of your social media and email platforms. This means choose a font combination, a color scheme…and of course, a unique logo. Branding doesn’t have to be elaborate or expensive. Many believe they need to hire someone to do their logo. But in my opinion…a simple font-based logo is not only inexpensive to create, it’s also easy to update and virtually timeless. 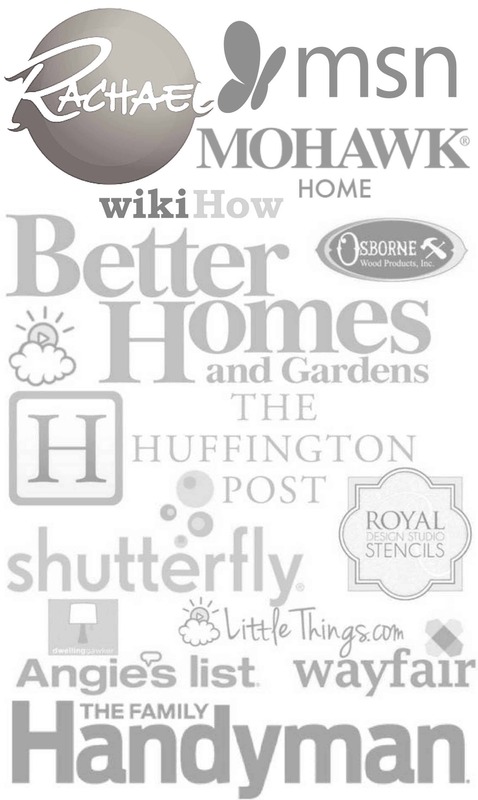 A text-based logo with a timeless font along with a simple device (like a hand drawn flower or a laurel wreath) is all you need to give your blog unique, refreshed look. If you need help with branding or logo creation, I’m always here to help! Blog Conferences (for creatives): I’ve taken a number of courses and attended several conferences pertaining to blogging. I only recommend those that I’ve attended personally, but as I experience more opportunities I will update this post and add them here. Haven Conference, Atlanta: If you’re a DIY or home decor blogger, Haven is a DIY blogger’s heaven! It’s held in Atlanta, GA around July each year. I have made so many friends through blogging and have loved the positive interactions and long term contacts with vendor sponsors as well. I have attended numerous workshops, met designers from HGTV, talked with my favorite vendors, won contests and much more. SNAP! Conference, Salt Lake City, UT: Similar to Haven, but the topics are rounded out to appeal t0 DIY, craft, food and lifestyle bloggers. If you’d like to meet even more bloggers from the West Coast, you’ll love SNAP! It was here that I first met Marian from Miss Mustard Seed, attended Minwax workshops, worked with Ryobi, and learned new skills pertaining to growing my audience. Wayfair: I attended their first blogger conference in 2015 and loved every minute of it. I learned photography, how to contact magazine editors and received terrific feedback about my blog appearance. I even had the chance to meet Maxwell Ryan from Apartment Therapy and Christine Lemieux, the founder and director of Dwell Studio. Better Homes & Gardens Stylemaker Event (2017): I was invited to attend the BH&G Stylemaker Conference, so I will be attending this year (September 28th). I will keep you posted! Hire a Web Designer: If you find yourself spending hours and hours troubleshooting a problem, it may be time to consider hiring a designer to pull together all of the components and make your website run smoothly. I offer a web design calculator that helps you determine your budget and choose what functions your site requires. There are designers out there that can be hired hourly (raises hand!) that will help you troubleshoot issues and train you on how to perform certain functions on your blog. I’m all about teaching bloggers to become self-sufficient! 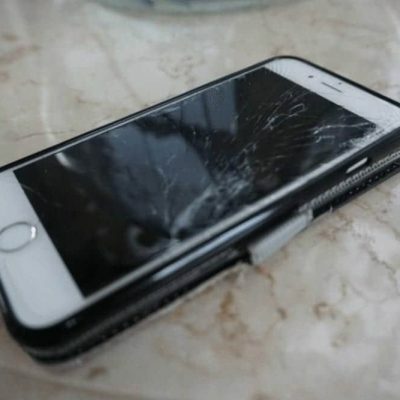 My iPhone 6s. Cracked but still takes great photos! Beautiful photography is one of the key elements to having a successful blog. Even though I used an iPhone for years I would always ensure that two things were top-notch: the lighting and composition in every photo. I never thought that my blog would get noticed without an expensive camera, but when a magazine editor called she complimented my photography I was over the moon excited! Eventually I invested in more expensive equipment, so I’m sharing those resources here. iPhone 6s: (or any of the newer phone cameras). Phone camera technology is phenomenal these days, so take advantage of it! This served me well for years. All photos that I take with my iPhone (or camera) go through an editing process. I like to use the following apps. Picmonkey: (You can sign up here for your own Pickmonkey account). I love Picmonkey.com! 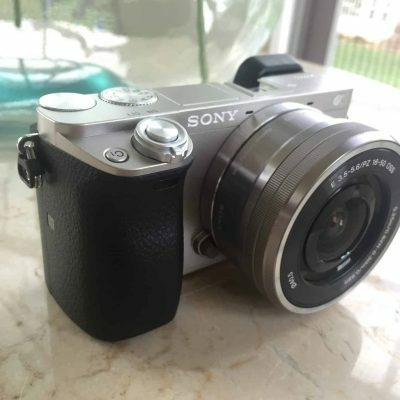 I find it to be a great tool to improve clarity, sharpen and lighten photos. 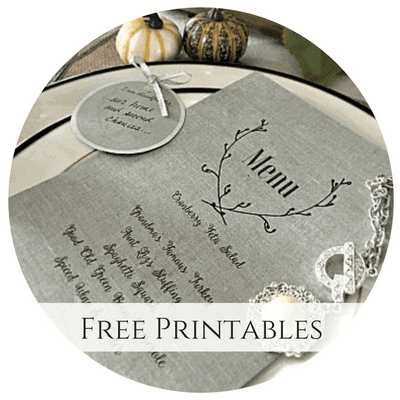 I even used it to make printables available to subscribers, adding text on photos and so much more. I use the phone app as well. Afterlight (iPhone app): If I can’t use Picmonkey, I use this to lighten and brighten. Canva (iPhone app and online): I use Canva for the stock images ($1.00 each) and for the built in branding. I subscribed to a business account and I take advantage of their branding capabilities for small business owners. I create most of my cover images (with text) using Canva. I love the templates they have available, but I do find that I like other tools for editing photo quality. Tip! If a photo requires extensive tweaking (more than three) edits such as lightening, sharpening, increasing contrast…then I usually retake the photo. makeover) so I needed to step up my game. Now I’m hooked and use my Sony for most everything. See it on Amazon. Tripod & Remote (to prevent shake in photos): For more crisp photos I recommend using a tripod if possible. Even depressing the button on your camera can cause shake, so a remote control is also recommended. You can purchase a tripod for your iPhone, or a tripod for your DSLR (or mirrorless) camera as well. SanDisk 32 GB Extreme Plus Card is used in my Sony camera. I simply remove it and insert it into my Mac for downloads. Adobe Photoshop, Illustrator, Fireworks: You can get by with Picmonkey, but for more bells and whistles, Photoshop is the way to go for photo editing. Adobe does all of what Picmonkey can do and more. I use Illustrator for text signage, and Fireworks to create hotlinks on an image, (including the “let’s connect” image including my photo and social media follow links). Adobe Capture (iPhone app): A more sophisticated app that takes up a lot of space on your phone, but it syncs with your Adobe Creative Cloud library if you’re using the Adobe suite. It does a wonderful job of sharpening your photos and improving clarity. As I complete my projects, I snap photos with my iPhone. I love phone apps for editing. Below I’ll share a few shortcuts that work well for me when creating video. All of these are pay-as-you-go or require minimal investment. Create an Intro + Outro videos for Youtube: Intros and outros are little snippets that tell a viewer a bit more about your vlog. Here is an example of my intro for Youtube created using Renderforest on my MAC. Once I get the video looking the way I want it (in Renderforest) I export and pay a one-time fee. I then upload the video to Youtube. Using the Youtube’s built in editor and added my own custom thumbnail created with Canva. Video Screen Captures: I use Quicktime and press “record” to capture my screen activity (live). Once the video is complete, I download and can edit using editing software to add text overlays and to add music. Videorama (a free app on iTunes): During a DIY project my hands are pretty full, so I tend to snap photos and video using my iPhone. I love Videorama since I can easily drop them into the app and tell the story. I can fully edit the video inside the app and include text overlays. Once it flows the way I want it, I can add music from their built in library, or I can save a soundless version and add music later on my iMac. I upload to Youtube and use their built-in music editors. I also load separate videos on Facebook and one for Instagram. For Facebook and Instagram, I load music using a separate app. Shop Now for Vintage-Inspired Decor! Take an additional 20% off already marked down items in the “Chateau Collection” (limited time!) 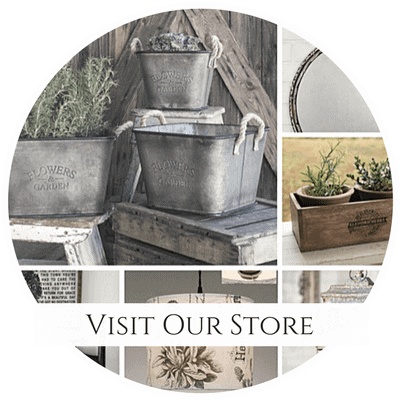 Beautiful, on-trend farmhouse + industrial style decor is in-stock in “The Shop” at Snazzy Little Things!! (Apply Coupon Code: VIPCHATEAU20 at checkout). iMovie: If I’m on my MAC, I use iMovie similarly to how I use Videorama. I keep photos online in my cloud library, drag and drop them into iMovie to create my tutorials. I also add music using iMovie. Add Sound to Video: For Youtube, I take advantage of their free audio library to add sound. For Facebook and Instagram, I use Bensound.com on desktop. On the phone, my favorite phone app for adding sound is called VideoEditor. Buffer App (for scheduling social shares): I use the paid version of Buffer to schedule my social media sharing across all platforms. This is important if your’e looking to save time but still updating your activity on your social media sites. With a single right click, I can share content to my public Facebook page, a Facebook group, Twitter, Google+ and Pinterest. It even has a queue for Instagram. I also have Buffer integrated with Feedly for easy sharing and it works on iPhone, too! Feedly: I follow my favorite blogs and websites using an RSS reader called Feedly. From there I find lots of great content to share with my readers (and I use Buffer to schedule shares from my phone – which is great when you travel). Tailwind: Tailwind allows me to automatically pin on Pinterest and other platforms, even while I’m away from the computer. Tribes exist on Tailwind and helps me propagate content across Pinterest. My reach is is around 2.9 million and brings traffic to my blog, which helps keep my blog traffic up as well as ad revenue. Sharing Content: I share about 60% other bloggers content and 40% of my own. My main sources for sharing is Feedly (which is how I follow other blogs) and Pinterest. Instagram: I’ve installed Milotree which is an unobtrusive pop up in the lower right, I have several thousand people visit my blog, so my hope is to convert those drive-by visitors into Instagram followers. You can try Milotree here. Pretty, inspiring pictures along with a uniform color scheme is the name of the game with Instagram. I find that Instagram converts a visitor quickly to a blog visit or even a purchase, and the latest version allows you to upload video and multiple photos. Be sure to update your “link in profile” and mention it in your posts, people do click! Now Instagram offers paid promotion which has been great for my store. I’ve been a little late to the Instagram game but I love it! I use the free trial of Iconosquare to evaluate my Instagram performance. I post several times per week but according to Iconosquare, my ideal times should be 8am and 5pm — which are my peak traffic times. I typically only post my own photos and I research hashtags from my phone to try to mix things up a bit. I often include 30 less popular hashtags. I found this is easiest to be ranked as a “Top Performing” hashtag and allows me to gain new followers. I have two Instagram accounts, one for my brand and one for personal. I don’t use the auto-followers that many do to grow their Instagram, my growth is organic. Facebook: These days, Facebook is all about paid promotion, so unlike the days when I first joined — it’s “pay-to-play” now. A typical Facebook user is a person that uses it as a news reader and stay on the platform all day. So it’s important to keep your activity levels up on your business page. My readers love inspiring decor photos and how-to videos. I now only post 1-2 times per day and get more engagement after hours. I answer every single response. 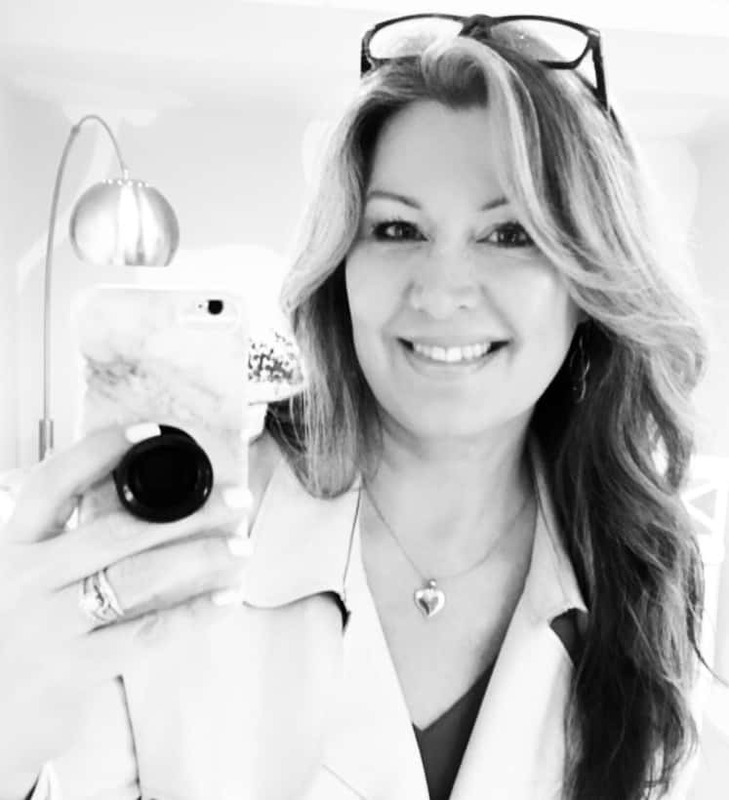 My Shopify store is integrated with my public Facebook page and customers can complete their purchases entirely without ever leaving the platform, which is one of the reasons I love using it to promote my store. Twitter & Google+: I find that I can only focus on a few social media platforms at a time. That being said, I never neglect a platform completely. I randomly post to Twitter using BufferApp. I auto-schedule for both of these platforms and check in on occasion. Akismet: Protects your WordPress blog from comment and contact from spammers. A must-have for every blog. WordPress SEO: Fomerly Yoast. A must-have plugin to keep a pulse on your keyword usage within the post, the post’s readability and potential SEO ranking. WordPress SEO provides a simple checklist at the bottom of your post editor and provides you with direct feedback with red light / yellow light / green light measurements. If you have a red light, it tells you exactly what you need to do to improve the post in the eyes of Google until you get a green light. It enables you to edit post meta data as well. Cloudflare Flexible SSL: Cloudflare has a network of data centers all over the world designed to improve site speed, security and performance of your site. Bloggers mainly use it to improve page load times which can impact their Google ranking and potentially their ad performance. Cloudflare caches your website’s static files to a network server that is closest in proximity to a reader in that location, making the website load faster for that user. Cloudflare Flexible SSL enables HTTPS: capability now that Google is using this as part of their overall ranking methodology for websites. I found the best explanation of Cloudflare Flexible SSL here. WordPress Popular Posts: This is what I place on my sidebar that shows a new reader what my most popular posts are. Increases clicks and engagement on my blog. Updraft Plus Backup: I back up my site automatically each week. It can save on a variety of platforms, including Dropbox, Google Docs, and other services. If you’re not backing up your blog (and database) on a regular basis, you risk losing the entire site should you ever be hacked or encounter a technical issue. Featured Images in RSS Feeds: This enables featured image photos to be included in any of your RSS outputs. So if you have a Mailchimp RSS newsletter, your email will include the featured image in the subscriber email. Same goes for Feedly. Social Warfare (to make sharing easier): If you look at the top, bottom and left of this post you’ll see sharing buttons with counts of how many times a post has been shared. You want readers to share your content so they can bookmark it for later on Pinterest, or share with their friends. Social Warfare is what makes that possible. I pay the $29 annual upgrade so I can customize the buttons to match my site colors. Check out Social Warfare here. Mailchimp: If you’re looking to grow your blog exponentially, then you must concentrate on creating an effective email marketing system right out of the gate. Don’t question this for a single second! Set up a free account to start with. I personally love the flexibility of Mailchimp but it does have some limitations according to this article from Donnie Lawson. But for now, I’m with Mailchimp until I muster up the energy to convert. 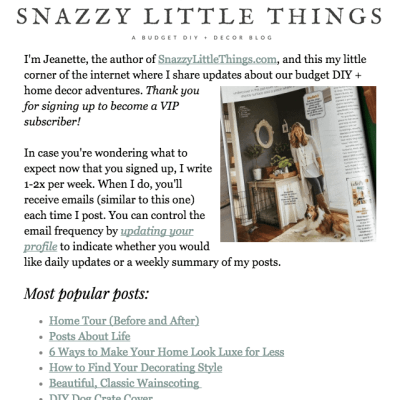 Here is a peek of an example of my newsletter format that I created using Mailchimp. I send this out to my daily and weekly subscribers and it only sends if I have new posts. I also have my Shopify store integrated with my Mailchimp subscribers lists for easy promotion of new items in my store. Sign up for my newsletters here. Preformatted + Custom Templates: I’ve experimented with a variety of templates and measure click through rates as well as send times. I’m tweaking often based on each newsletter’s performance. Daily & Weekly RSS Newsletters: I’ve segmented my list for those that want daily or weekly frequency of newsletters. Automation: I set up automation for my newsletters. When a reader clicks certain links it triggers a new email series based on certain behaviors. Shopify Integration: My dashboard includes store performance and revenue associated with that newsletter. Shopify: I opened my online shop called “Snazzy Studio” in February of 2017 and I built it using the Shopify platform. To sign up for your very own eCommerce store, visit this link for a 14-day free trial. I also support you with a 21-video eCourse here. It’s a turn-key for small businesses, and it’s 100% functional out of the box. Free templates (over 20 of them) that are beautiful, instantly. My template is a freebie. Pinterest buyable pins / Facebook store / I can “IM” a product / A “buy button” allows me to embed products directly on my page. The sales dashboard, it’s so detailed! A very simple at-a-glance on your daily, weekly and monthly sales. I had proactive support — emails from real people asking me if I needed help setting up my store. Hosting is included – and I like the idea of this on a separate server from my blog. Any apps you download are meant to enhance the user experience, or add the fun “bells and whistles”. I had my site running in 2 days…and it looked beautiful! Only pre-approved apps exist in their app store. What’s in your blogging toolkit? What tips or resources would you add to the list? I’m happy to answer your questions and as always, you can visit Snazzy Design Studio and try out my online web design calculator if you’d like to hire me for your next blog redesign! This is a great post! A lot of reminders for me. I needed the tip of cleaning up my Pinterest boards. Beautiful site! What a fabulous post! Thank you for all the info – I will keep this in my resource file forever! Thank you for all the great info on your Blogging Tool Kit. I read the entire post and clicked on a lot of the suggested tools to learn more about them. 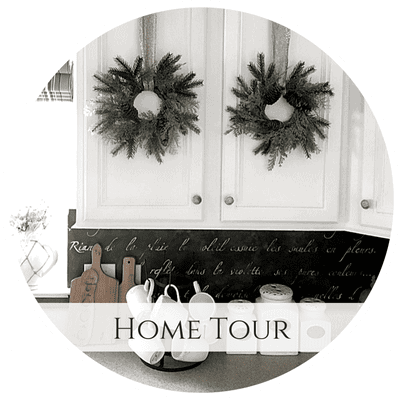 I love your blog (we are similar in our home decor taste), I just recently came across it. I have thought about starting a blog and thought I would do more research before taking the next step. It’s also worth noting that the Board Booster recommendation is outdated and I am curious what you are using now in its place? Carol I sent an email with a reply and I’m hoping you received it! I will update the post with some new updated tips for 2019.